Early years settings need to be a warm and welcoming environment for every child, but they also need to be functional and practical. Achieving this balance can be a headache for early years staff but we outline below some practical advice to consider when designing the layout for your space. Early years settings should be laid out so as to encourage free movement around well-defined interest areas. Spacious zones enable many children to play in one area at a time while enable children to move away from that area without disrupting other children’s play. It also helps to encourage co-operative play. Children are also able to freely explore the setting space, and also expand their play from one area to another. Freedom of movement also makes for a safer setting as there is less likelihood that children will have accidents with each other or obtain bumps and bruises whilst moving around the setting. Young children will become infuriated if they cannot find what they want, when they need it. Grouping similar resources together and labelling all drawers, cupboards and shelves encourages independence, as children are able to find, use and return resources by themselves. Labels should use simple words, drawings or photographs of the contents to make it easy for all children at all levels of development to find what they are looking for. By having resources easily accessible to the children who will be using them, it promotes independence as the children will be less reliant on staff members help in reaching items they want to play with. A great exercise whilst planning the layout for your early years setting, is to sit on the floor and look at the space from the perspective of the children who will be using the space. This change of perspective will focus you on providing a layout which works for the children, rather than for the adults. By giving the children a choice about what resources they want to use helps to encourage complex and creative learning. Allowing them to choose which materials they want to use in their play encourages them to think for themselves and use their imagination in how they can achieve a certain goal. Being able to mix and match resources can help develop the child’s creativity. Imagine for a moment that you’re planning to bake a special cake for loved one’s birthday, and you head to the supermarket to gather all the ingredients you need. You whizz your trolley round the shop gathering the bits and pieces you need only to find that one essential ingredient isn’t available. How are you feeling? Panicked? Confused? Stressed? Thrown off balance? Young children will go through similar emotions if they are unable to find what they want in the classroom. For a child who has their heart set on a particular project will be derailed if they find a particular resource is not available. They are more likely then to become anxious, impulsive and unproductive. If however the materials are available, then the child Is focussed, productive and motivated. There is a balance needed to be struck between providing consistency and providing new experiences within early years settings. Young children thrive on consistency but they can also be highly excited by the arrival of new and novel things. The key here is not to have a radical change overnight but smaller more subtle changes are the way forward. You could choose to have a seasonal ‘corner’ that changes with the season, or with celebrated festivals, or for specialist ‘subjects’ for focus. Alternatively you could go for a ‘big splash’ and occasionally decorate the whole setting to celebrate a certain season or event whilst keeping the layout and access to resources consistent. Artificial light is often relied on heavily in early years settings, but it is important to take as much advantage of natural light wherever possible. Natural light can help to set the mood and ambiance of a setting and can help children feel more upbeat and alive. If your setting has few windows then take advantage of outside space whenever possible both for quieter times and for running of energy! 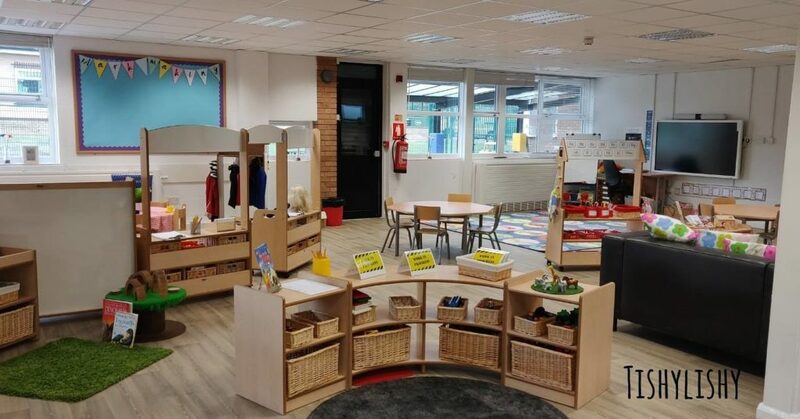 Having the right storage and display equipment is also key to establishing an engaging, practical and stylish early years setting space. 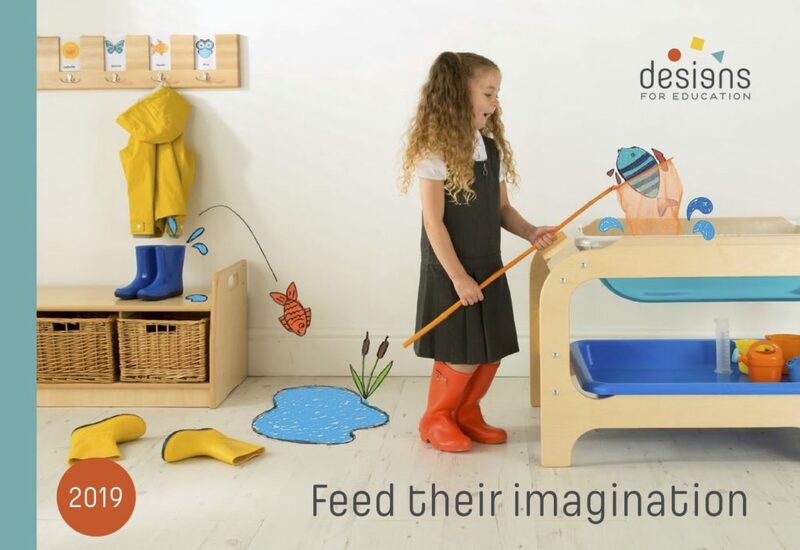 Take a look at our range of open-ended, versatile furniture, display and storage solutions that can help transform your early years settings into a fun and engaging space for all your children. Let us know (in words and pictures) in the comments or on our Facebook page how you incorporate our range into your early years settings.